Volant Air Filter - Primo Pro-Guard 7 UNIVERSAL - Dezod Motorsports Inc - Home of the automotive performance enthusiast since 2002. Volant’s high performance 5 layer air filters are made of the highest quality textiles, pleated between a top and bottom aluminum screen. Each filter comes pre-oiled and ready for use. This design will allow the highest air flow rate possible and a very long filter life. Use Volant’s two stage cleaning kit to thoroughly clean and re-oil the filter. 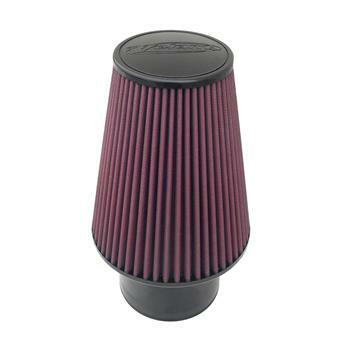 We recommend cleaning the Pro-5 filter only when very dirty or when you reach around 12,000 miles.